SE trim, Lightning Blue Metallic exterior and Charcoal Black interior. FUEL EFFICIENT 35 MPG Hwy/27 MPG City! CD Player, Onboard Communications System, Smart Device Integration, LIGHTNING BLUE METALLIC, EQUIPMENT GROUP 200A CLICK NOW! KEY FEATURES INCLUDE Back-Up Camera, iPod/MP3 Input, CD Player, Onboard Communications System, Aluminum Wheels, Smart Device Integration MP3 Player, Keyless Entry, Steering Wheel Controls, Child Safety Locks, Electronic Stability Control. OPTION PACKAGES TRANSMISSION: 6-SPD POWERSHIFT AUTO W/SELECTSHIFT 3.895 Axle Ratio, LIGHTNING BLUE METALLIC, EQUIPMENT GROUP 200A. 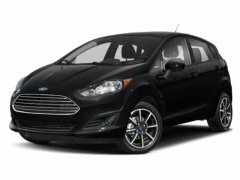 Ford SE with Lightning Blue Metallic exterior and Charcoal Black interior features a 4 Cylinder Engine with 120 HP at 6350 RPM*. WHY BUY FROM US Spring Clearance Sale On Now! Call Or Click Today! New-Advertised sale prices are after all factory rebates including retail customer cash, special customer cash, bonus cash, ford credit cash, trade assistance cash, and other bonus cash. Customer may qualify for additional incentives.